E. Cornell Malone (President of the Class) - One of the early OG Optimist Club Presidents. His company (E. Cornell Malone Roofing Co.) at his own expense built the 4-Plex tower and the 4-Plex fields. Under his leadership, we broke off from Hattiesburg Dixie Youth and got started with Dizzy Dean. He probably invested close to $1,000,000 of his own money to ensure the future success of youth baseball in Oak Grove. Randy and JoAnn Johnson - between them served seven years as president of the Oak Grove Optimist Club. Instrumental in bringing the Dizzy Dean World Series to Oak Grove twice with the grand Opening Ceremonies at Reed Green Coliseum on the USM campus. Had two sons play in the program. Their oldest coached. 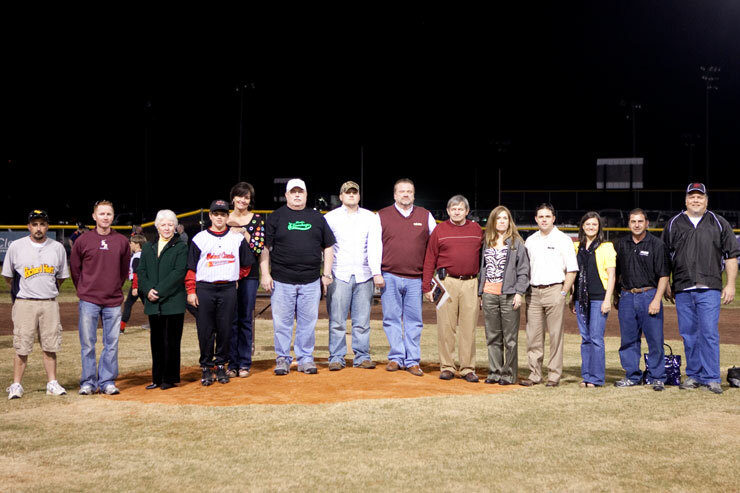 Were instrumental in getting the original softball fields built (where the 11-12 year old fields are now). Elizabeth Murray - along with husband Jim were Buddy Ball directors for five years. Hard working and extremely organized, "Lizzy," always made sure the boys came first in any decision made. Continued to serve the park even after her only child, Steven, had long since left the park. Along with friend Susan Dodder, always helped with these opening ceremonies to ensure their success. Elizabeth died last October 2008 after battling pancreatic cancer. Raymond "Red," McMahon - one of the very first men clearing stumps on what is now Field 1, the Babe Ruth field. Red had a vision that there would be several fields here so that kids ages 5 and up would have a place to play here in Oak Grove. A long time youth coach Red was one of the original "select" baseball coaches coaching the Hattiesburg Canes with Larry Knight. Red coached long after his children were gone. He made a special impression on one of them; his son Jamie. He is now the Head Baseball Coach at Pearl River College in Poplarville. Tim Maples - long time coach and volunteer, Tim was always there to help a lending hand. Was instrumental in the development of the Buddy Ball fields and Buddy Ball program Tim also was one of the select baseball pioneers when his son Kirk played on the original Lynx team. His construction company also helped build the softball fields so that his daughter Mallory and her friends would have equal facilities. Those two children have graduated but his youngest son Hayes is here tonight. Tim died around Christmas 2008. Jeanette Weathers (President of the Class) - 13 year Board member, 4 years director of Buddy Ball program and director of several other age groups. Long time director of scorekeepers and she continues to be active at the park. Her son Martin, played at the park. Cheryl Creel - long time treasurer of the Oak Grove Optimist Club served as team mother for all three of her children's baseball and softball teams. Helped organize two Dizzy Dean World Series that were played at the Optimist Park. Sons Cody and Ty and daughter Rivers all played at the park. Her husband Roy coached and was an Optimist Club Board member. Died October 2008. Dewitt Carney - long time member of the OG Optimist Club who served as equipment manager for 6 years making sure all kids had helmets, bats, catching equipment, etc. Dispensed and collected the equipment and organized it in the attic of our 4-Plex tower. He also coached in the league. Fred Boudreaux - the first president of the Oak Grove Optimist Club. Under his direction the 4-Plex was built and the leagues in all age groups were formed in 1994. His courage led others to leave the established Hattiesburg program to develop Oak Grove's own baseball program. 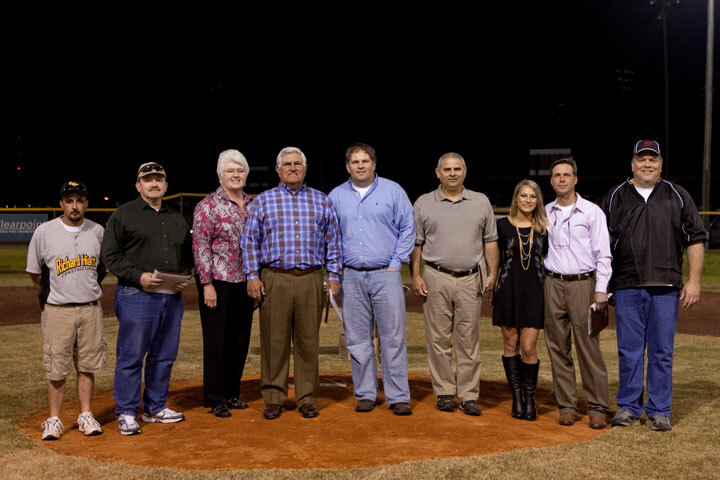 Along with Cornell Malone, who is also a member of the OGAA Hall of Fame, a true pioneer in Oak Grove youth baseball.